When it comes to blenders, it can sometimes feel like there are endless choices from which you can pick. With so much variety out there, how can you know which one is the best for your needs? Sure, you could compare features like motor speed and how many ounces it can blend, but will that give you the insight that you need? To make your life easier, we’ve decided to compare two of the biggest and most respected names in blending. Our goal is to provide you with real-world comparisons so that you can make an informed decision. This blender will effortlessly make for you personal to-go smoothies, or up to 3-4 servings. It is reliable, powerful and can even crush ice and tough ingredients. Family-sized blender, but with a personal to-go blending cup. It's efficient, powerful, and like the Vitamix, can easily handle ice and tough ingredients. 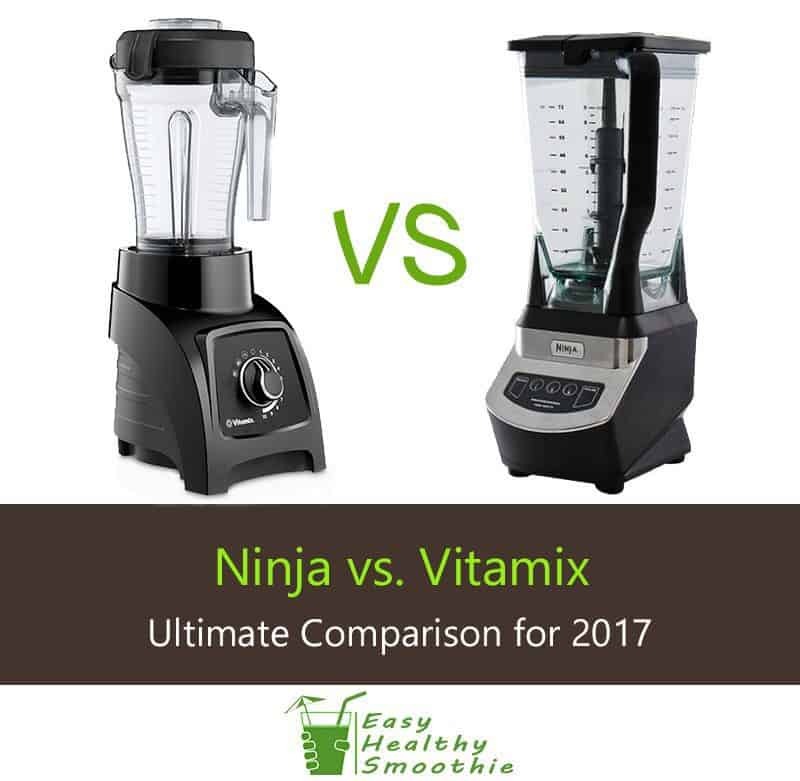 Vitamix and Ninja are two brands who are powerhouses in the blending industry. However, because both companies are so well known, it can be hard to determine which one has the best options and features for you. To that end, we’ve chosen to focus on two of their models that have grounds for comparison, the Vitamix S50 and the Ninja Ultima Blender BL810. Both of these models are not only indicative of the overall brand, but they are comparable with regards to size and speed. So, it will come down to the details in the performance and user satisfaction, which will determine a clear winner. When it comes to comparing similar products, the important thing is to see how they stack up in a variety of quantifiable categories. Thus, we aren’t going to give extra points for “sleek styling” or anything like that, unless it makes your job easier by being more ergonomic. 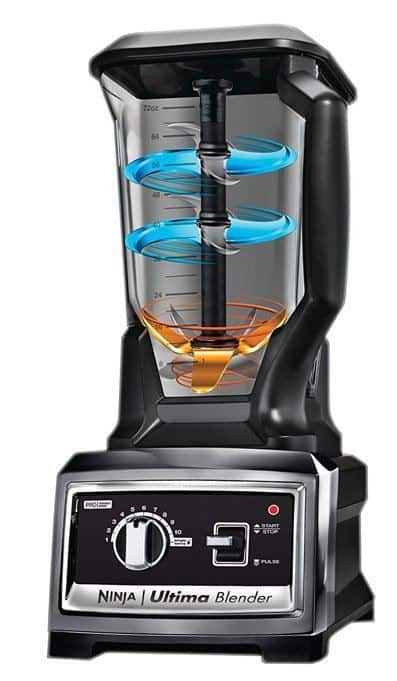 Most of the blender comparisons I’ve seen online focus on features and technical specs: motor power, number of speeds, size of jars, blade type… But is it really all that matters? Overall, it’s more important that you know how these features can improve your blending experience, as that is what will matter in the end. So, as you read along, take note of what matter most to you. Do you want a powerful blender because you want to make smoothies? Or are you hoping to make all kinds of ingredients for meals? Is it important for you to make large batches of products, or are you making solely for yourself? As we compare the two models, keep these ideas in mind so that you can better understand how they can help you in your life. In the end, the best blender is not the one that we tell you, but it’s the one that fits your criteria and makes your life easier. If you’re looking for more insights on this, we’ve published an expanded guide on how to choose a blender type and model. When talking about size for a blender, there are several aspects you should be considering. First, you want to take into account the size of the unit itself. If you have limited counter space, then having a big, bulky blender is not going to do you any favors. Additionally, you should pay attention to the size of the pitcher, especially if you are making food for multiple people. Overall, the goal of blending is to make things more efficient, so find a size that will help you make the most food in the least amount of time. As far as high-powered blenders are concerned the S50 is rather compact. In fact, when posted next to the Ninja, it seems much smaller and more quaint. What is great about this is that you can get complete blending power without taking up so much room on your counter. Also, it makes it easier for storage when the time comes. The S50 also comes with two containers. One is a forty-ounce pitcher for large batches, and the other is a twenty-ounce cup for individual servings. This means you get the versatility of being able to blend for your whole family or just for yourself. While this blender is bigger and bulkier, that means that it is greater for groups and family blending. The size of the base is almost twice as wide as the Vitamix, which means that if you have limited counter space, it will look like it’s taking over. However, if making large batches is your primary concern, then you will love the fact that the Ultima comes with a humongous 72-ounce pitcher. That means that you can serve more people in less time or make more of your favorite foods at once for cubing and freezing. Thankfully, the Ninja Ultima also comes with two sixteen-ounce containers for individual servings, meaning that you don’t have to use the large pitcher for yourself. The Winner: Vitamix is best for compact spaces, and the Ultima is best for large servings. If you looked at the features of both blenders, you would notice that they highlight the wattage and rpms as how well they can blend. While that can provide some insight, unless you are an electrical engineer, does it really mean anything to you? As a general rule, the more watts you have, the more power you can get, but that doesn’t mean that it translates effectively into blending. 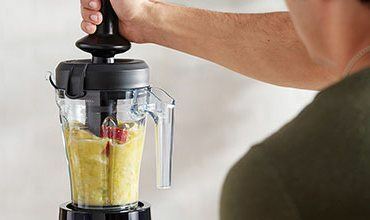 You could double the watts for your blender, but if it doesn’t know what to do with that extra power, then it won’t make a difference with the results. This has to do with other stuff that’s engineered into the blender, such as the design of the blades and jar. So, when looking at power, we would rather find out how it translates into blending, meaning that we care more about how quickly and effectively you can turn your ingredients into smoothies and whether or not you can crush ice. As far as power is concerned, the S50 has a control panel with ten different speed settings and a pulse button for an extra boost. Having such variation in speed means that you can quickly chop foods into a fine blend or you can liquefy everything into a smoothie. Having a pulse button gives you more control overall. The design of the blades on the Vitamix mean that it creates a vortex, bringing all of your ingredients down to get emulsified. Using four blades, it crushes ice and shreds any food into pulp within seconds. Finally, this model also comes with two pre-programmed settings so that you can set it and forget it. Both options have an automatic shutoff, meaning that you don’t have to worry about the machine burning out because you left it unattended. While some people may not care about preset functions, they do add a bit of flair to this blender. 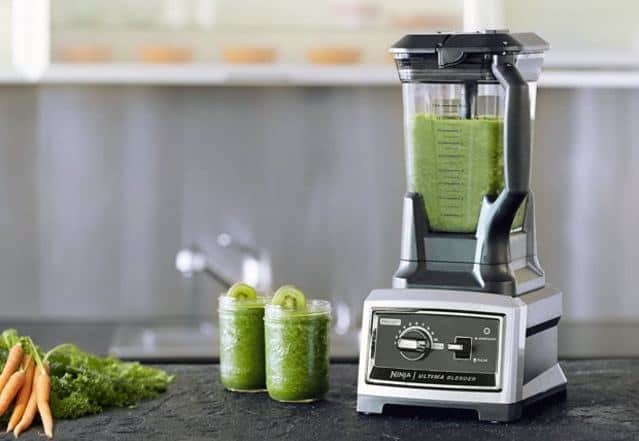 When compared to the Vitamix, this model has the same number of speeds and the pulse setting, which means that they blend almost identically. However, what sets the Ninja apart is that it uses two stages of mixing, meaning that you can process your ingredients in half the time. The way that it works is that the blades are mounted to a center pole which spins around at high speeds. Blending in this fashion means that it both creates a vortex action on the bottom but also purees stuff at the top so that you can get more even results in a shorter period. What we like about the Ninja’s blade system is that it leaves much less pulp behind. Thus, if you want smoother and more refined beverages and ingredients, then Ninja is the way to go. Best of all, dual blades mean that crushing ice is a breeze. The Winner: The Ninja’s proprietary blade system wins over the standard vortex “bottom feed” design of the Vitamix. One of the biggest hassles with using a blender is that they can be tough to clean. This is especially true if you like to process whole ingredients and make a variety of foods. Thus, one of the most important considerations when choosing a blender is to make sure that it’s easy to clean. With that in mind, how do these stack up? 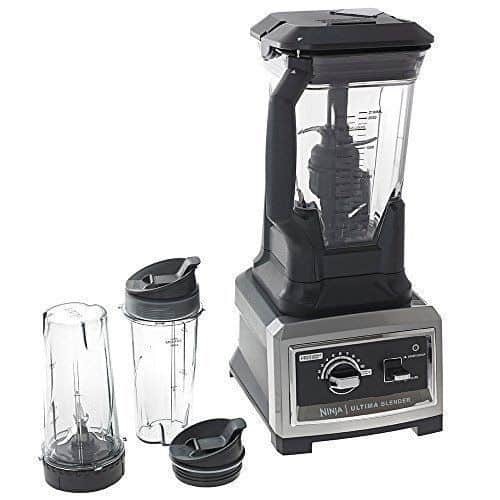 What we like about this blender is that the components are removable and interchangeable. That means that cleaning is a breeze, because the containers are made of high-grade plastic and are dishwasher safe. Even if you don’t have a dishwasher, being able to clean the pitcher without the blade inside is better overall, because then you don’t have to worry about cutting yourself. When compared to the Vitamix, both units have similar benefits with regards to cleaning. You can easily take the blade system out, meaning that you can clean the pitcher without worrying about nicks and cuts. Unfortunately, however, it could be argued that the size and shape of the container do make it a bit harder to clean, and it will take up much more room in your dishwasher. While the inside of the pitcher is okay, the Ultima does have a large, bulky handle and a thick base that can’t be detached. So, if you plan on washing your blender in the sink, it will be a little harder due to the size. As for the single serving containers, they are super easy to clean and have no problems at all. The Winner: We are going to give the edge to the Vitamix because we found it easier to wash the container by hand. However, if you are planning on using a dishwasher, then they are both about equal, provided that you have the space for the Ultima. Another important component of blending is the ability to use the machine for a variety of purposes. For most people, a blender is a way to make frozen beverages and smoothies, but not much else. However, if you’re the kind of person who wants a machine that can help you with all sorts of dishes, then you will want to get a blender that has more versatile options beyond crushing ice. Although the design of this blender is decidedly old-school, the fact that you have such a wide array of speed and settings means that you can use it for a lot of different purposes beyond making smoothies. To help you in your culinary quests, the S50 comes with an entire recipe collection, the famous Vitamix Recipes Book, that shows you how to use the machine to its fullest potential. On low speed settings, you can process foods like tomatoes and onions to make a quick and easy salsa. On higher speed settings, you can mix nut butters and other creamy concoctions that you wouldn’t normally associate with a blender. However, when making more complex ingredients, you will have to take advantage of the tamper provided. The other thing that sets the S50 apart is the preset functions which give you the best results possible. One setting is for crushing ice, and the other is to liquefy ingredients as much as possible. Having multiple sets of blades not only means that this machine processes ingredients faster, but it also means that you get a more even distribution throughout your mixture. With that in mind, the Ninja is built to be more than just a standard blender. In fact, one could argue that it’s much better at food preparation than it is for blending smoothies. Again, the versatility is born out of the amount of speed and power options you have. Where the Ninja separates itself, however, is when you get variable attachments to mix things like ice cream and baked goods. Cookie batter has never been easier to mix than in a Ninja. That does, however, require you to purchase extra accessories, which can be a downside for some users. The Winner: Overall, the Ninja has more versatility based on the placement of its blades. While the Vitamix can make a variety of ingredients, it doesn’t have the advantage of the Ninja blade design. If, after looking at both of these blenders, you are not quite sold on them, we understand. Maybe they’re a little outside of your price range, or maybe they are too big for what you need. Since our goal is to provide as much information as possible, here are some alternative models that might suit your needs. If you want something that is a little smaller and doesn’t have the same amount of power, then this is a good option for you. You still get a large pitcher and a small cup for individual servings, but you don’t have the added feature of preset buttons, and the motor is smaller overall. We recommend this version if you’re more interested in making smoothies and beverages, but not preparing other kinds of food. This is another model that is ideal for beverages mostly. The Pro comes with a smaller pitcher and only three speed settings, meaning that you don’t have quite as much control as you do with the Ultima. Since we know that many swear by this Ninja model, we have given it a complete in-depth review, which you can find here. 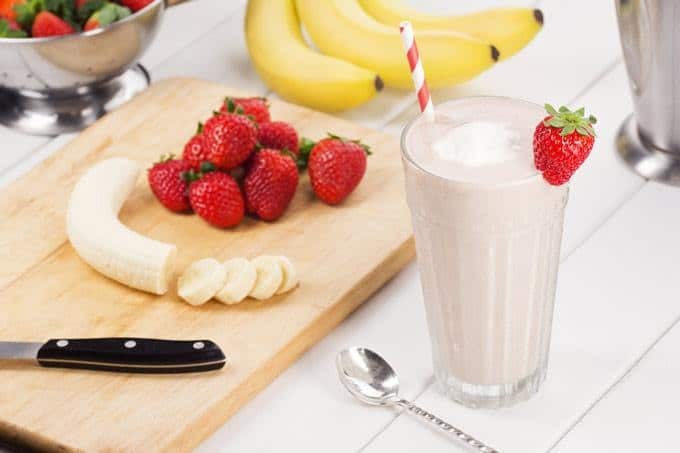 Nonetheless, you still get the patented multi-blade design, meaning that you can crush ice and blend all kinds of ingredients for a quick and easy smoothie. The Pro also takes up less space on your countertop, which may be appealing to some users. When comparing all of the features and benefits of these blenders, who is a clear winner? Well, based on the criteria that we set forth, we have to give the edge to the V﻿﻿itamix S5﻿﻿0 Blender, but this really depends on your personal needs and uses. Unless you are looking for a kitchen appliance that can help you make more than just blended drinks, the Vitamix S50 is the way to go. We like the durability and ruggedness of the materials, and we also appreciate the compact design. Some users claimed online that Ninja components and attachments may break, but that was not the case with the Vitamix. Simply put, the S50 has more power and will last longer. The ﻿Ninja Ultim﻿a, however, is more versatile in the kitchen and can serve larger families. 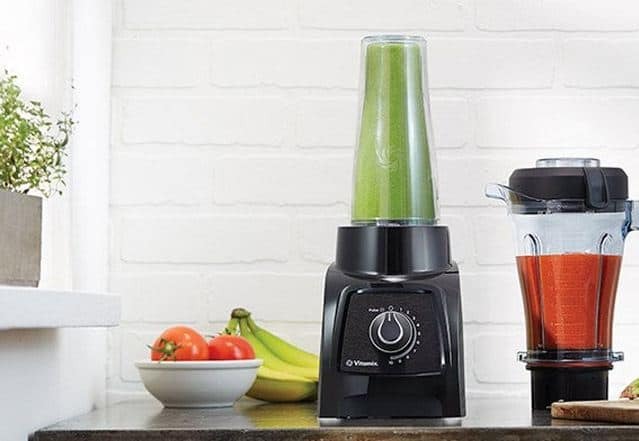 Have you ever used a Vitamix or Ninja before? Let us know in the comments below, and if you found this review helpful, please share it with your friends using the buttons below. Find out which blender would be the perfect choice for you. We compare two of the best options on the market, the Vitamix and the Nutri Ninja, so you’ll easily navigate the many choices out there. Great comparison of these two blenders! I’m weighing both of these ones up at the moment so I’ve found it so useful. Thanks! Thanks for your comment, Danielle – buying a good blender is so important and I’m so glad we can help you make the right decision. Let us know what you go for in the end? Really great review, thanks! These are the two I’ve been trying to decide between. 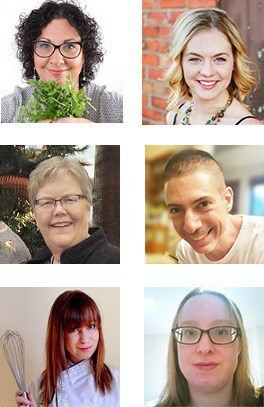 My friend has a Ninja and raves about it but I wasn’t sure if it’d be right for me or if a Vitamix might be better. Thanks Chloe, glad to be able to help you out with your decision! Have you decided whether to go for a Ninja or Vitamix in the end? I have a Vitamix and I love it, it’s perfect for my needs. Great to hear you rate it too!